Should you be a fight scribe here in Japan where, celebrating a golden era, we have had such excellent champions as Uchiyama, Yamanaka, Ioka, Inoue and others?totaling no less than nine Japanese world titleholders?you will have difficulty selecting one Boxer of the Year, but Uchiyama must be a good choice thanks to his remarkable performance. The modest-speaking champ is rumored to defend his WBA super belt against also unbeaten Nicholas Walters in his next bout in the US. 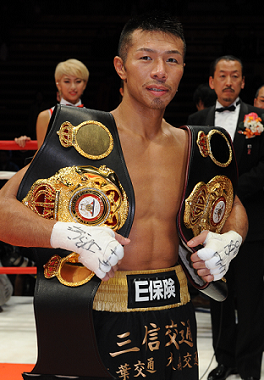 If so, Uchiyama (24-0-1, 20 KOs), nicknamed KO Dynamite, is highly expected to show his offensive and defensive ability before knowledgeable and hard-core spectators there.